Abundant beaches,them continents second largest waterfall,emerging national parks and a diverse population. Angola, the continent of Africa’s largest country has loads to offer. Spectacular nature, beautiful Portuguese colonial era architecture, lions, elephants, springboks and gorillas. A fast-growing economy with mining exports, the tourism industry is set to make a name on the global stage. The tourist industry is underdeveloped and hopefully, opens up its amazing splendor to the world. Tourists are usually advised against exploring Angola, but following visa bureaucracy procedures can be made easier. Travelling to the mysterious, and beautiful landscape of Angola will definitely reward any travelling enthusiast. Adventurers: Step into a dazzling highlight of Africa. Mining exports make Angola a fast-growing economy and tourism is set to make it a global stage. 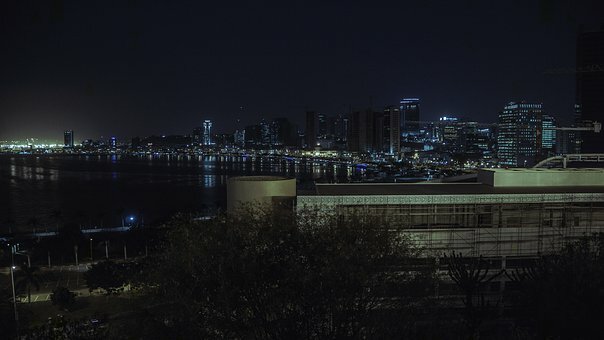 Luanda represents the stark contrasts of Angola, high-rise buildings and lean huts. The beauty of the Atlantic ocean with a disruption of busy ships. Luanda is a “must see” to experience ”other side” of Africa. A wildlife sanctuary 70km south from Luanda, Parque Nacional de Kissama has stunning natural settings that preserve and protect African species. Moxico in eastern Angola holds the largest lake in Angola, Dilolo.It is a tourist spot of note. The lake is filled with rare bird species, aquatic life and wildlife. The lake is filled with rare bird species, aquatic life and wildlife. Twelve kilometres long and a thousand metres above the sea level. The mythic unusual waves are believed to be supernatural forces to scare away those who dare to fish in the lake according to folklore. September is the best time to take a dip in the lake at pleasant temperatures. The Dala Waterfalls in Lunda Sol is 60m high, conjuring spectacular scenery with the mist, and splashing water that land on the rocks below. The comfortable view is possible from a bridge near the base of the falls or, for those who truly love the scene, a hotel is built is 50m away from falls. The bustling city of Benguela is in the west of Angola, situated on the Benguela bay. It is a tourist destination of significant historical marks as the early Angola economy was established on mining and slave trade to Brazil. The city has an international railway. The major attraction is its location on the ocean side that is coupled with Portuguese architecture and breathtaking beaches to unwind at. The Maiombe Forest, the “Ämazon of Africa” is a spectacular natural area boasts a forest area of more than 400 square km and it is fantastic for wildlife lovers. It has an abundance of unique rare species. Encounter elephants, gorillas, chimps, elephants, rare birds and butterflies. It has an abundance of unique rare species. Encounter elephants, gorillas, chimps, elephants, rare birds and butterflies. The rare woods include mahogany and ebony. The reserves biggest town Buco Zau, has a guesthouse for all to fully immerse into nature. The Tundavala Fissure is a spectacular natural sight in Angola. Between the Namibe and Lubango cities, it is 2,600m above the sea level with phenomenal views and visible vistas, some of the best on the continent of Africa. Tundavala with rock faces also has amazing savanna patches and forest landscapes. The town of Lobito is in Benguela, part of tourist and export economy. The coastline is popular with anglers that try to land Giant Tarpon weighing up to 200lbs. The beach is a great place to relax in and watch the sunset with an abundance of restaurants and Portuguese era buildings that are worth exploring as well. Angola’s largest national park, the Iona National Park is the situated in southwest point of the country. It covers15,000 sq km. It is filled with a range of wildlife species and home to indigenous people that scientists claim are “culturally intact” people that exist on the continent of Africa, the motherland.